www.Gmarketing.ca - G-Marketing.ca | À l'écoute de vos clients! Topics: Clients, Articles, & Site Map. 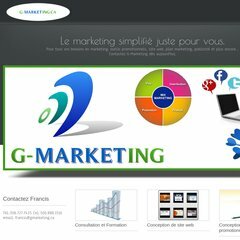 gmarketing.ca G-Marketing.ca | À l'écoute de vos clients! - Conception d .. Host Papa Inc (New York, New York City) is the location of the Apache server. Its IP Number is 69.90.162.10. Its 2 nameservers are ns1.hostpapa.com, & ns2.hostpapa.com. PING (69.90.162.10) 56(84) bytes of data. A ping speed test response, is timed at 21.1 ms.